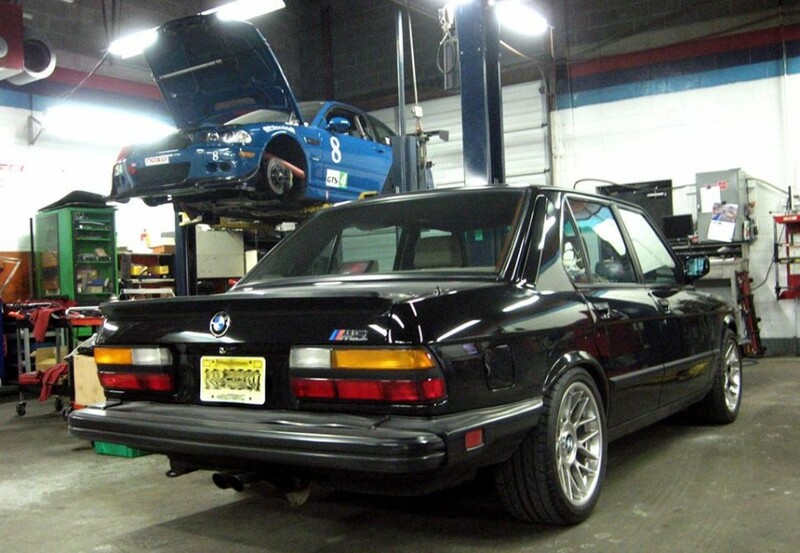 Bavarian Specialties was founded in 1979 by Mike Yaskin to serve the BMW enthusiast. In-house BMW GT1 Tester for all coding, programming and diagnostic solutions. Full modern 4 wheel alignment system with factory BMW wheel adapters, complete electronic for track, race car corner balancing. The most complete set of factory tools of any independent in the tri-state area. Combined BMW service experience totaling more than 50 years. The price, service, and knowledge were great. Will definitely return to Bavarian Specialities for all my BMW repair and service needs. Mike has a wealth of knowledge that he is willing to share with you. Brought my (new to me) 2012 E92 M3 to Bavarian Specialities for rod bearing replacement, new engine mounts and some other 60K maintenance items and couldn't be more pleased. I had known about the shop for years in anticipation of buying my first BMW, and am so glad I brought my baby to them. Mike and Peter are super knowledgeable, know these cars well, and spent time with me on the phone and in the shop talking through the work as well as maintenance items that needed attention and those that could wait in order to save $. They also photographed and emailed the rod bearing progress for me so I could document it. The work was completed with care at reasonable cost, they gave me a loaner during the work, and my car is running like a champ and feels like new. I'll definitely be bringing my M3 there from now on! A follow up on an earlier review - my M6 engine was rebuilt and I have nothing but praise for the result - I will continue to drive from Maine to have Mike and Tom from Bavarian Specialities upgrade the exhaust when the time comes - they did a flawless rebuilt. I purchased a 2004 BMW and took it to Bavarian Specialties to get a ppi and figure out what the noise was coming from my car. Tom told me that it was a bad A/C compressor and I didn't believe it. I took my car to two other shops and one told me it was a transmission problem and the second said it was a timing chain / engine problem that could cost $5,500. So I took it back to Bavarian Specialties and spoke with Mike and he said that he stands by his guys diagnosis and will confirm that the noise was the A/C compressor. I had the A/C compressor replaced and the noise was gone and I saved $3,000 - $4,000 going with Bavarian Specialties and not listening to these other shops trying to rip me off. Mike and Tom are very knowledgeable and had a detailed answer for every question I had. I highly recommend these guys and will continue to take my BMW here to get serviced. Have been taking my BMW to Bavarian Specialities for 8 years. The owner and shop manager are both extremely knowledgeable. The work is always top grade. Importantly, they are not afraid to use/share their opinion on judgment calls vs. just upselling you a part or service. While bringing your own part isn't preferred, the shop works with you (at your own risk) for installation. Understandably, if you bring a sub-standard part...you will be paying for installation, removal, and re-installation. Not sure why this latter concept is so hard for so many people. Wow, these guys are excellent. I recently moved to the Philadelphia area from Northern California for a new job, and brought along my 1990 E30 M3. I had a great relationship with my shop near San Francisco so I asked them if they knew any shops in Philly that were any good. To my surprise the owner told me "Oh you have to go to Mike at Bavarian." I was surprised my guy in SF actually knew a shop near Philly, and that he recommended Bavarian Specialities so highly. About a month after I moved, the M3 needed breaks and an oil change, so I figured I'd try Bavarian out. They could not have been more accommodating (and no, I did not name drop my shop in SF, as I wanted to get a sense of how Bavarian would actually handle me as a new customer). I dropped the car in the lot after work on a Tuesday and it was done the next day in the early afternoon. A couple months later I got the itch to upgrade the exhaust system, and again the guys at Bavarian were extremely helpful. The work was done right the first time, it was done fast, and they didn't gouge me on the price. I did a bit of research on my own beforehand, but they were excellent in recommending the system that would work best with the other modifications I already had on the car. It was evident that they had walked hundreds (maybe thousands?) of customers through the same process. It now comes as no surprise that my previous shop ACROSS THE COUNTRY knew Mike and the guys at Bavarian and the awesome work they do. My wife's 535 comes off warranty this year and I'm actually looking forward to the day I can start taking the car to Bavarian instead of the dealer. The arrogance and overall abysmally poor (new) customer relations here are, in a word, unbelievable. Stopped in to see about having some minor work done to my BMW. Yes, I had my own (brand new, BMW factory) part with me. Well, that was apparently the trigger for (what I assume was the owner) beginning a new customer relationship with statements like "Do you bring your own steak to Mortons?" and "We charge more because you brought your own part", and "No way today!". Frankly, I was hoping they could do the work today, but was not demanding, insistent, or discourteous in the least---I would have been happy to make an appointment for later. OK, I get it-shops don't love installing customer-bought parts, and they definitely want to capture the markup on the part itself. I understand that, and even get charging more for the work. It was the attitude, arrogance and utterly dismissive tone in treatment that had me walk out. It's too bad too--I was looking for a good, local, independent BMW shop to start a long-term service relationship. I may not always look it, but I AM the demographic you want--multiple BMW (and Porsche) vehicles, and money to spend. I had high hopes, but dang, talk about putting a bad taste in a customer's mouth within 3 minutes of him showing up. Today was a test to see if I would be dropping hundreds--if not thousands--of service dollars here. Fail. Excellent service! Second to none. Quality products & they don't try to gouge you simply because its a Bimmer. They keep you up to date on the work they are doing & their rates are more than reasonable! No one else will touch my Bimmer but Bavarian Specialities! Had Bavarian Specialties do a PPI on a BMW 535xi wagon I was looking to buy remotely. The car in question has some known water leak issues, that could result in expensive repairs to electronics. I brought this up to Mike before the inspection, and he was aware of the problem already (I thought it was unique to the wagon's but he told me it happens to all the E60 BMWs). They did not one but two test drives, gave me extensive information on all details of the car, and after they called me with the information, were more than willing to go back and check things I had questions on from their inspection. I know many other shops that would not go the extra mile to bring the car back in the shop and check additional things (or worse, make up answers to you on the phone, especially to someone 200 miles away and not likely to use their services again). I then received a very detailed report in the mail with everything they told me on the phone. I am pleased to say I bought the car, and found the condition very accurately reflected their report. The only bad thing about their shop is they are not closer to where I live so I could use them all the time! I took my car for some maintenance work including checking the valves. I was very happy with the service and communication. I left with paperwork showing detail of work done and a number of comments and things to consider for the future. They know their stuff and the price was right. Replaced a 3rd tail light for me which $100 cheaper than Devon Hill quoted me for. I will definitely keep them in mind next time I need some work. 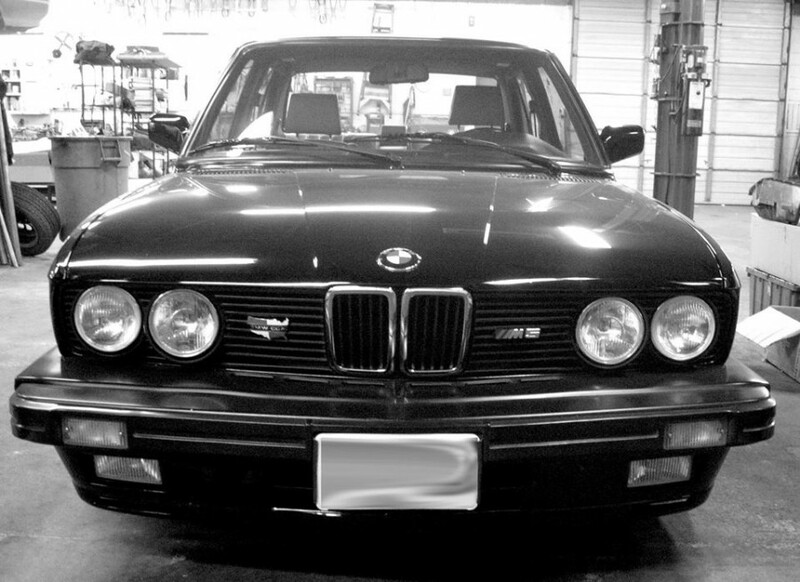 Car was done on time and as promised… Price was a tough pill but hey, it’s a BMW so what was I to expect? I will go there "next time" too!!!! I took my 2003, 745 Li here for repair and I could not have come away happier! Mike not only talked me through what needed to be done he actually recommended several cost saving repair alternatives. His guys didn’t just replace a bunch of parts they actually DIAGNOSED the problems and repaired them. They straightened my rims, balanced the tires and it has never driven better. You would think the rebuilt my suspension!!! If you are reading these reviews you must have a problem with your BMW, so stop reading and get your car over there!!!! The last time I dropped my car off at this shop they kept my car for over 7 business days. Days would go by with no phone call of update. I would have to call everyday and eventually started showing up at the shop to see if they were working on the car or not. When I picked it up I was told they did 4 hours of work, but billed me for only 1. The car still had the problems I brought it in for, my "service engine soon" light was still on, the red triangle when starting was still on, the car was still shaking when idle. The gas tank was on E even though I filled it up before brining it in and all of my car wash items in the trunk were moved into my back seat for some reason. I really wouldn't have minded the delay so much if they would have at least called me and gave me an update. I was afraid to be argumentative because I read on here Mike can fly off the handle and I just wanted my car back at that point. The staff there were friendly at all times and apologetic, but the bottom line is they did not do a good job of communicating with me or getting the car fixed. Mike and Pete work on my race car... I trust them with my life. I think that about covers it. Have been going there since I moved to this area. 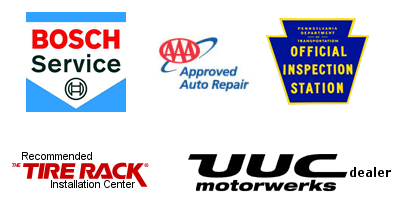 They provide good service and my car is running great. Service personnel are also very nice and pleasent to talk. Only Mike has a poor attitude with customers. Although I have heard him shouting on the phone several times before. Only this time after my last service I had a bad experience. About a week after my last service I realized that they forgot to change engine oil (I take my own Mobil oil for service and alway ask them to use it, and this time the oil was still in my trunk and oil level was also very low, I also checked the bill and they had given me usual rebate for using my oil suggesting that they did not put their oil). I immediately put oil from my trunk to prevent my car from runing dry. Then I called Bavarian for scheduling oil and filter change, Mike answered and I told him that they have forgotten to change oil and presumably filter during service, he immediately started shouting on the phone saying that its immpossible (even though he did not perform service on the car at this shop) and when I went to shop for oil change he checked the mileage and the oil level which was fine then because i had already put the oil the previous friday. He started shouting immediately and throwing his arms in the air aggresively saying that I am accusing him. I immediately left and have decided not to go back there again. The ABS and DSC bugged out and I was told by Otto's BMW I needed a replacement of the DSC hydraulic pump. This was to cost $3500.00. Two months later, at time of inspection, I asked Mike for a 2nd opinion. Mike told me it was the electrical unit that was out, not the pump. He also told me the rims needed to be aligned which I didn't belive, but considering he was going to fix the DSC for $1200.00 I went along with it. It is 2 months ago now and the car runs perfectly. Thanks to the rim alignmet the car now runs much smoother. I will never go anywhere else. Otto's BMW refunded me the diagnostic fee ($130.00) after I complained. The last time I used a BMW dealer for an oil change I mentioned that the battery appeared to be failing. They tried to tell me I needed a new alternator ($800). Luckily I told them no and went elsewhere to have my alternator checked. The alternator turned out to be fine and I only needed to replace the battery. This time I looked around and just talked to Mike. He understood the problem exactly (rather technical involving a BMW service bulletin) and rattled off exactly what needed to be done. I learned more from a 60 second phone conversatoin with Mike than countless hours at the dealer. I bought a certified pre-owned 97 M3 about 10 years ago. A year and a half after the certified warranty ran out, I went searching for a private shop. I did my research, got referrals and did some networking to find a good, reputable shop. The first time I went to BavSpec, I listened to Mike on the phone explaining the reasons why and how to fix a particular issue. He was talking to another shop, giving them a hand. That's the kind of guy Mike is: knowledgeable, direct and (he may deny it at first) but very willing to help almost anyone. Mike has been around BMW's a long time. He's highly respected in the bmw community with countless loyal customers. His staff is also an extremely talented and dedicated group. I'll also point out that Mike practices what he preaches: he's a successful racer. The equipment he trusts on the track at 150+ is built with the same hands and knowledge that goes into fixing my suspension and brakes. He also supports many customers at the track where they, too are extremely successful. His and his customers' cars are fast, safe and reliable. Another reviewer didn't appreciate some apparent shouting or cursing. As the line goes, "there's always 3 sides to a story". Mike can get loud. He can be direct. But he's passionate. He knows more about bmws than 99.9% of the mechanics out there and you always know what you're getting and why. Have known and worked with Mike for almost 25 years. His work is flawless and knowledge bar none. For the Gentleman who had the bad experience with Mike, I'm sorry to hear this since Yaskin is the best of the best. Will continue use Barvarian specialties for all my BMW maintenance needs! 1)Mr. Yaskin should not profanely curse, get loud, and threaten his customer. No matter what. 2)Mr. Yaskin should Not do unauthorized work on BMWs . Unless his customers are getting the work for free or perhaps for family. Of which I am neither. (100.00 for unauthorized caliper boots is a scam and you know it). 3)Mr. Yaskin should honor the verbal quote he gave. Not prejudge a customer on what he thinks he can afford based on other vehicles he owns. You can't deny this Mike. 4)Shouting, Cursing, and demanding cash payment before release is no way to treat any customer. Mandatory Cash was never something we agreed on. 6) Your demeanor worried me and my family so much, Mike we had to take our car immediately elsewhere for inspection. Thank you for accepting a credit card. Im sorry we crossed paths. Mike has been taking care of my car since 45,000 miles. I'm up to about 115,000. My car runs as well as the day i bought it. He knows what he's doing. I wouldn't let anybody else touch my car. Also, when he needs the car all day, or overnight, he gives you a loaner-usually and early-to-mid 90s 5-series with around 300,000 miles. Every time I drive one, I realize that with proper care and feeding, my car will get there, too. I now live in Maine but had work down when I lived in Philly. My 85' M6 just lost a timing chain guide in the bowels of the engine. I'm shipping the car down to Michael for repair - I too wouldn't have anyone else do the work. He's a man of integrity; not a universal trait among mechanics or shops, or people in general. I have been to Bavarian several times now. Mike is an expert in all things BMW. Great service -- much less than Main Line BMW who gouge their customers and always upselling. To top it off, Mike gave me a loaner for the day (ok, the loaner was dirty inside, but it got me where I needed to go). I found several shops in my area through the bimmershops referral and decided to ask around about brakes replacement. I got several quotes from different shops - Bavarian Specialties asked me to bring the car in to see if I really need all that work. WOW! WHAT WORKMANSHIP AND EXPERTISE. THE MANAGER IS INSIGHTFUL AND ACCURATE WITH ALL THREE OF MY CARS THAT I HAVE BEEN TAKING TO HIM FOR MANY YEARS. I WOULDN'T GO ANYWHERE ELSE. REFERRED MANY FELLOW LOCAL CAR CLUB MEMBERS AND THEY ALL AGREE! POOR SERVICE, MORE BROKEN THAN REPAIRED!!!!!!!!!!!!! Rebutal to RYAN , YOU supplied your OWN parts that did not work properly , now you SLAM our shop because we were going to charge you for taking your poorly built underdrive pulleys off ! !